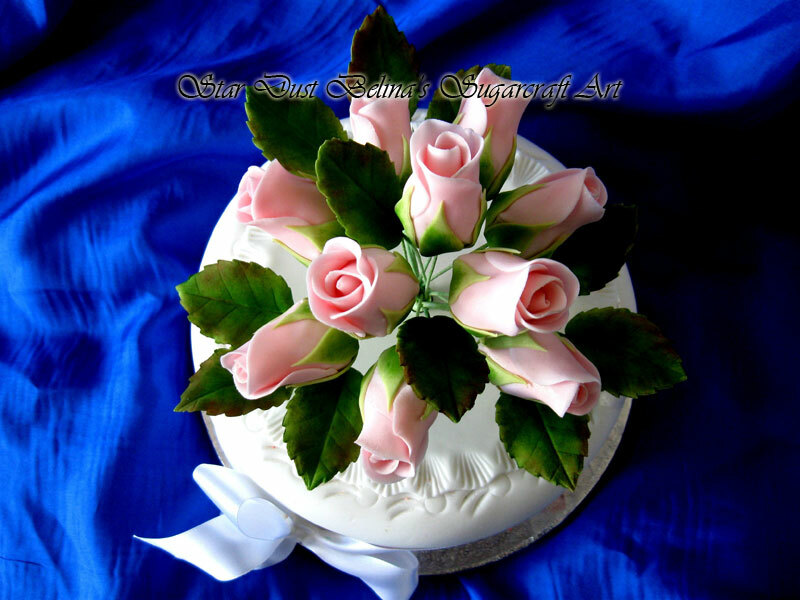 Hand Made Sugar craft roses, blossoms and foliage wired into lovely bridal sprays. The easiest way to complete your Wedding Cake. 200 mm approx.